POLAND — Investigators have identified up to three suspects who may be charged in connection with the tire-slashing of Regional School Unit 16’s fleet of school buses nearly a year ago. It will be up to prosecutors to decide whether to bring criminal complaints against the suspects or to wait to present the cases directly to a grand jury for indictment. Gagne said at least two people were involved, possibly three. One of the three was 17 years old at the May 16, 2018, incident. The other two were at least 18 years old. The suspects are expected to be charged with aggravated criminal mischief, a felony. 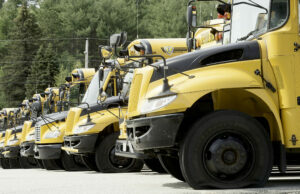 Vandals slashed the tires on all 22 of RSU 16’s school buses totaling roughly $13,000 in damage. Insurance covered most of the replacement cost. School surveillance video showed two white males using their shirts to conceal their faces. Some buses had only one tire slashed, while multiple tires on other buses were damaged. The vandalism forced the Poland, Minot and Mechanic Falls school system to close school for the day while two crews of mechanics scrambled to replace the tires. A day later, a local couple offered a $1,000 reward for information leading to the arrest and prosecution of the vandals.